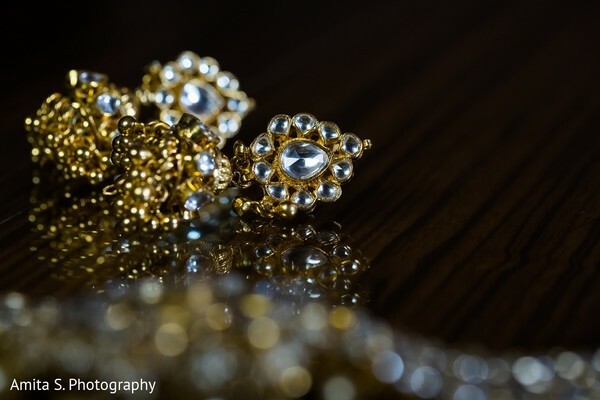 Earlier this month, we met the most adorable duo in this unforgettable Indian wedding film by Fandango Studios, and knew right away we needed to get our hands on their photos when we found out that Amita S. Photography was behind the other camera at this extraordinary event planned by Envi Event Planning at the Hilton Orlando. 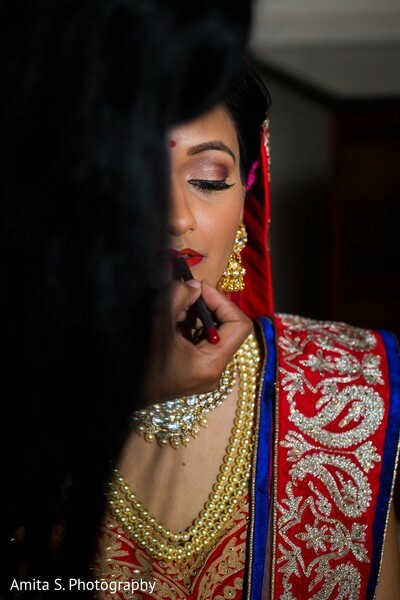 Well, Maharanis, the wait is over, and we're thrilled to bits to be sharing Aarti and Kunal's breathtaking wedding pics with you today, starting with captivating moments as the Indian bride of the day gets ready! 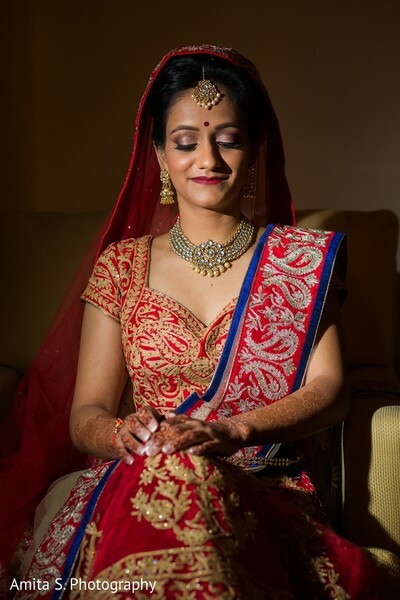 Style By Susmita has worked her hair and makeup skills, delivering a flawless finish to Aarti, who'll soon be meeting up with the Raja of her dreams for a fabulous first look! 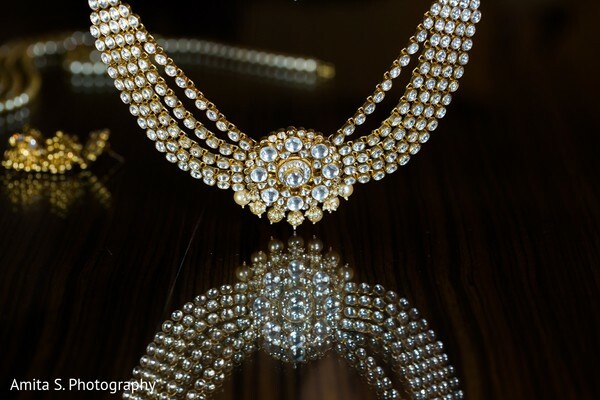 You won't want to miss that, or any of the other divine details we'll be unveiling today from her sensational affair. With the phenomenally talented wedding designers from Occasions by Shangri-la taking charge of the floral and decor, collaborating on lighting with WeGoDisco who also helmed the DJ booth, there's one seriously incredible celebration in the works! 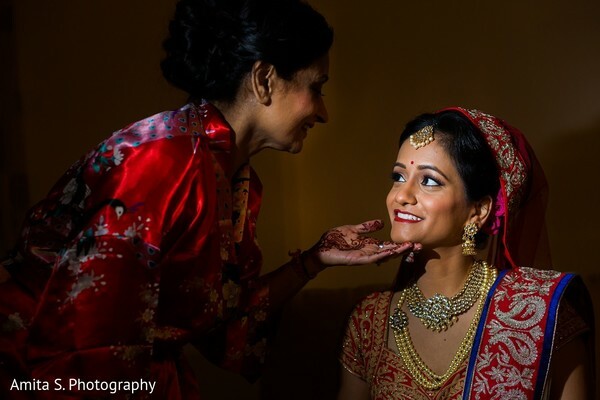 While you're waiting to feast on all those Desi wedding delights, head into the complete gallery for more dazzling getting ready moments with Aarti! Meet me back here later today for a fabulous first look with Aarti and Kunal, and make sure to check out their wedding film by Fandango Studios if you missed it! 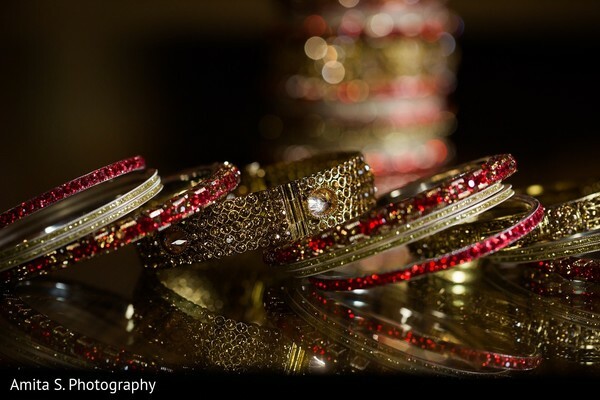 Envi Event Planning, Occasions by Shangri-la, Hilton Orlando, Fandango Studios and Amita S. Photography are members of the Platinum Guide. Love what you see? Explore their portfolios.